Founder of Bay Area College Consulting with over 10 years of experience in leadership building, extra-curricular background building, and college application assistance including personal statement proofreading. Helped clients to build resume through web site creation, publish books and student journals, start clubs and non-profit organizations. Received a B.A. in Psychology and an M.A. 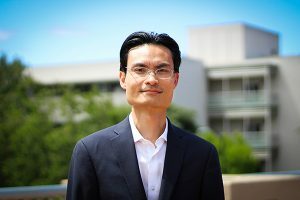 in Philosophy at San Jose State University, studied political science at the University of California at Berkeley during the summers of 2004 – 2006, and a candidate of Harvard University’s summer program during 2006. Taught at San Jose State University, De Anza College, Diablo Valley College, Gavilan College, and San Jose City College. Member of the Western Association of College Admissions Counseling. Helped clients admitted to top universities including Johns Hopkins, USC, Carnegie Mellon, UC-Berkeley, U. of Michigan, and U. of Illinois-Urbana-Champaign.